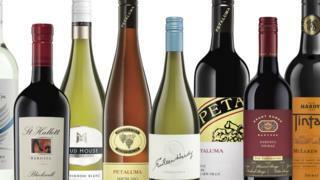 Australia's biggest winemaker, Accolade Wines, is to be bought by a US private equity firm. The Carlyle Group has agreed to buy the maker of Hardys wine from Australia's Champ Private Equity for 1bn Australian dollars ($769m; £546m). The deal comes as Australia's wine exports to China, its biggest market, expanded by 63% to A$848m last year. Australia is the fifth largest exporter of wine in the world. Accolade is the number one winemaker in Australia by volume, and the fifth largest winemaker in the world. Champ created the firm in 2011 when it bought two separate divisions from Constellation Brands for A$290m - less than one-third of its agreed sale price to the Carlyle Group. Accolade delivers 38 million cases of wine to 140 countries, including China, the US and the UK, and has a suite of well-known labels including Hardys, St Hallett and Grant Burge. The firm's biggest rival in Australia is Treasury Wine Estate - one of the world's biggest publicly listed winemakers and the makers of Penfolds wine.